VERSE OF THE DAY #19 - FAITH IS ENOUGH DON'T WORK! 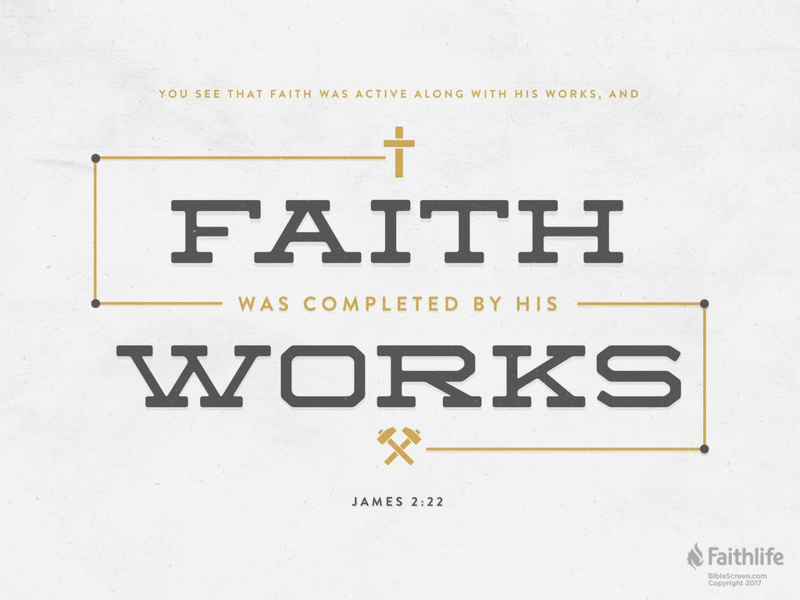 In these verse we can see that James is reminding the people of faith to not only focus on their faith but also make their faith complete by acting above their faith. Faith is good but faith without works is dead. If you have faith that you can live longer and yet you are not choosy in your food, you don't have a proper sleeping habit and you don't take care of yourself don't expect that you'll live long because you oppose the law that faith should accompanied by action. If you want to be promoted and that is your faith, you should work hard and improve yourself. If you have faith that you can finish your study, you should make this as your priority and let your action complete your faith. This verse is telling us, faith alone is not good, and action alone also is not good. It should work hand in hand. As birds has two wings the left and the right our life should have faith and work that will work hand in hand so that we can fly. Lord thank you for using James to empower us, for us to realized that our faith is empty if we don't accompany it with work and vice versa. Lord thank you, I pray increase my faith and help me to finish every work according to my faith. Rebuke and correct me if I put so much faith and yet don't move. Forgive me also if I work so much and forget about my faith. Lord thank you, I know you are always with me, thank you for teaching me.